To telephone one of the officers shown above, click here. 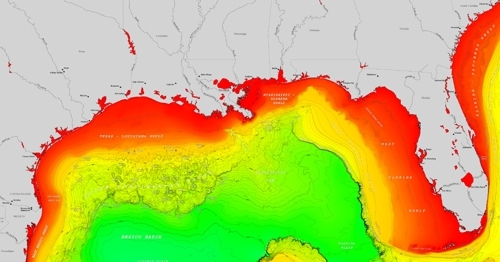 Bathymetry of the Gulf of Mexico. Courtesy NOAA. Available in beautiful full size (28" X 64") poster.